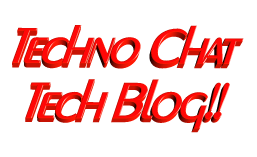 How can I edit local security policy from a batch file | Techno Chat|Tech Blog!! This is very know issue, if you search internet, you will get multiple blog post with same solution for this issue, and if you follow the steps, it actually resolve this issue. Logon to the faulty system. To resolve this issue, simply set this policy to Disabled. schtasks.exe /create /TN TestAdmin /SC ONSTART /TR "cmd.exe /c" /RU "RemoteServerName\LocalAdminAccount" /RP "Password"
If the scheduled task created successfully, it means the local admin account authenticating. Now the problem is, when I was trying to run this remotely on multiple Windows 2008 R2 servers, I am getting “A specified logon session does not exist” and my script reporting wrong status. Solution is already available, but who will made those changes on hundreds of servers manually, and I am also not sure why this policy was enabled. So I don’t want made any permanent changes on all the servers for validating local admin password. Posted in Admin Tools, Group Policy, PowerShell, Scripts, Server, Windows. Tagged A specified logon session does not exist, change local security policy command line, edit local group policy command line, Error: "A specified logon session does not exist, How can I edit local security policy from a batch file, secedit, secedit export, secedit import, secpol msc edit from command line, secpol.msc as a command line application, Ways to open Group Policy Object Editor.